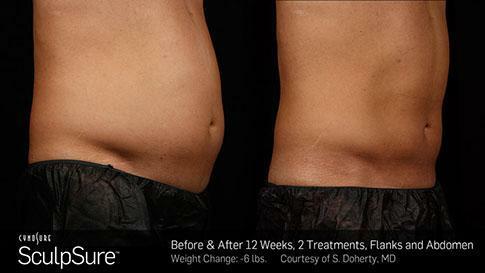 If you have pockets of stubborn fat that are resistant to diet and exercise, you aren’t alone! 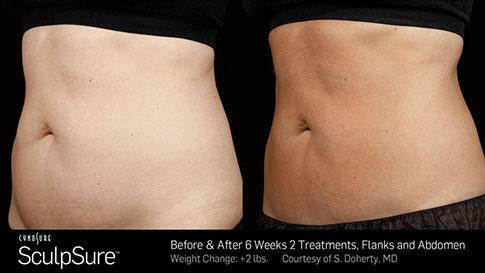 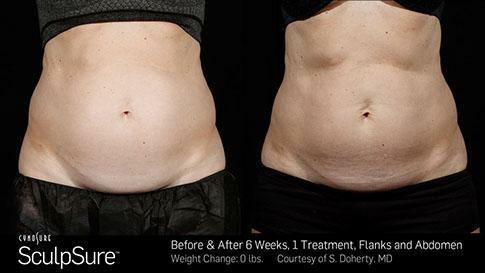 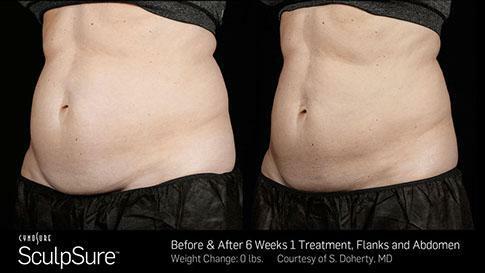 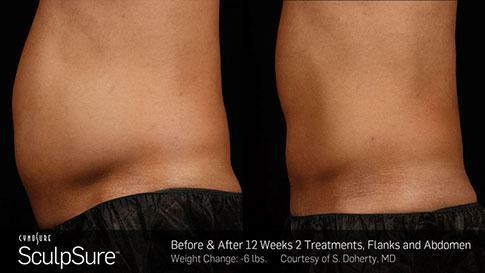 Reducing stubborn fat is possible with FDA-cleared SculpSure laser treatments. 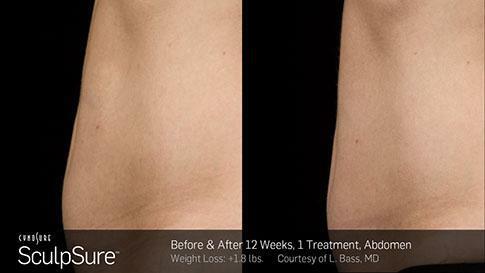 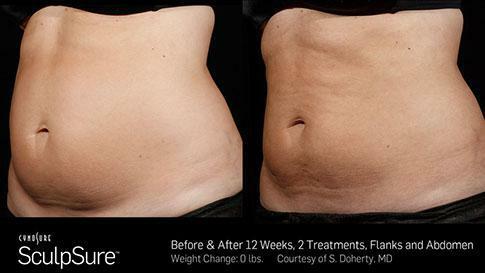 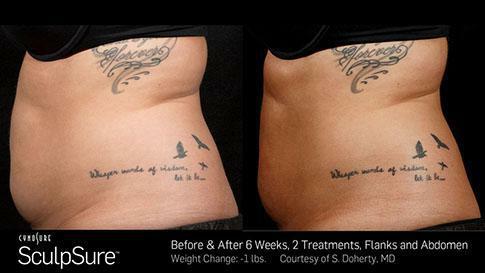 This non-invasive laser body sculpting treatment can help you look and feel your best! 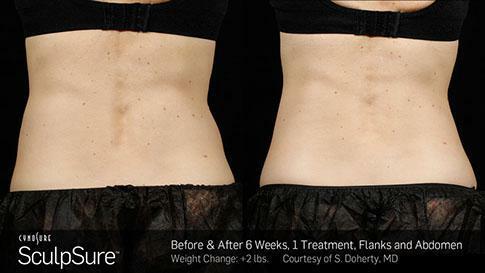 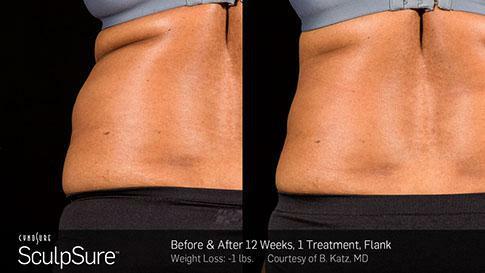 SculpSure uses light-based laser technology to melt away stubborn fat* on the waistline and abdomen. 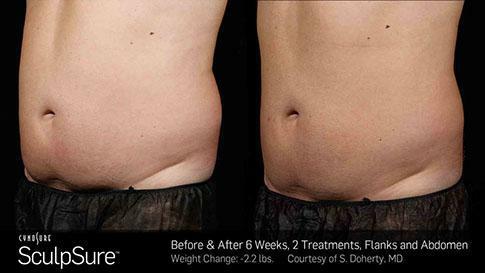 The machine has four applicators which can be placed anywhere on the stomach and sides to provide a completely personalized treatment. 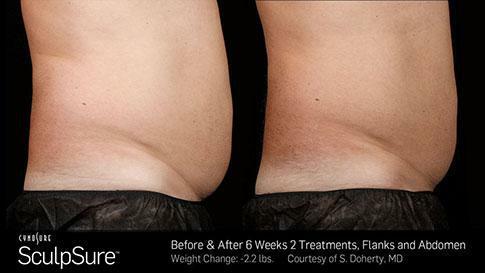 Once the applicators are secured, heat is delivered below the surface of the skin to safely destroy problem fat cells. 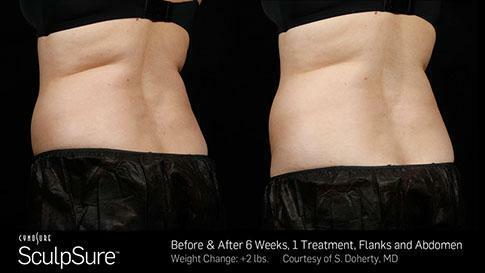 After the procedure, the treated fat cells will begin to leave the body naturally through the bloodstream, leaving you with a slimmer appearance. 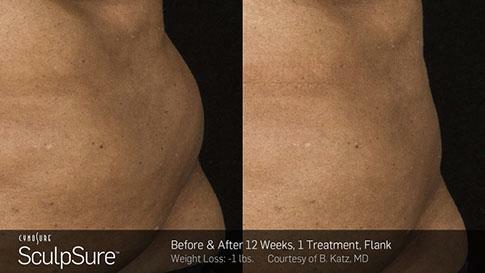 * SculpSure treatments are safe for most skin types and can provide long-lasting results. 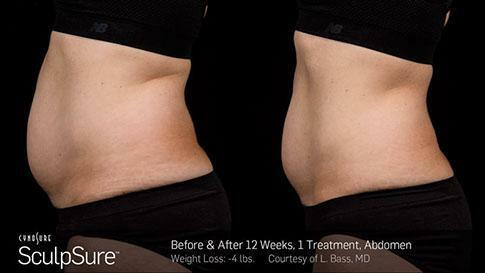 Contact Le Santé du Miroir Laserplasty today to learn more about how you can sculpt your body with SculpSure treatments!